Welcome back to another Top Ten Tuesday! I’ve been out of town for the last three weeks and had pre-scheduled those last three topics to go up while I was gone. So even though it looked like I was here, I wasn’t! I really missed discussing the weekly topics with all of you, so I’m happy to be back home now and have the time to do that again! This week’s topic is Bookish Worlds I’d Want to/Never Want to Live In. I’m the kind of reader who loves to immerse themselves in whatever world my books take place in. I always find myself having more fun doing that in fantasy or dystopian novels than any other kind of book because those worlds are usually magical and/or exciting. I wrote about the top ten worlds I’d never want to live in back in 2014, so today I’m going to share with you the worlds I’d actually really love living in. The links will take you to my review. The Tor is mysterious and mystical and atmospheric. It is home to beings trapped between life and death, and a pretty swoony man as well. There’s lots of little rooms and nooks and crannies to explore. Anywhere Rhysand goes, I go. But seriously, the Night Court and the secret, beautiful city of Velaris sound so perfect and magical. It sounds so dreamlike and enchanting. And the people that live there are wonderful. The Crown’s Game is about two enchanters who must battle one another through a series of magical tasks to ensure that the son of the Tsar has a memorable birthday. The winner becomes the royal enchanter, and the loser dies. The battle begins, and the beauty and opulence that encompasses St. Petersburg as a result of this magic is amazing. I absolutely must mention the intricate system of fountains and color-changing lights that fill the city’s canal system. That entire scene was beautiful, and is still my favorite in the entire book. This city has, what I can only describe to be, glass spheres that are suspended in the water. Each sphere is a library dedicated to each of the different cities of Itlantis. You can see sea life swimming by and light from the surface dancing. The libraries are filled with books, foliage, sculpture, fountains, and walkways. I’d LOVE to visit! I love this place called Albion. It seems to be kind of a conglomeration of the Regency era in England and historic New York City. There were times I felt like I was sitting in Central Park, and there were times when I felt like I was sitting in an Austen-esque sitting room with lavish couches and tea on the table. This city is basically Venice, but not. There are canals and water taxis, though, and any book that takes me to Venice or a Venice-like place is welcome on my shelves. The descriptions of the scenery in this book are beautiful. I’m still reading my way through these books and am currently on Chamber of Secrets. But I’ve already fallen in love with the magical school of Hogwarts and the students and professors that live and learn there. I think maybe I like underwater worlds… Marin is a gorgeous and colorful and sparkling city on the ocean floor. The city has rivers and gondolas and a modern colosseum where people go to watch criminals get thrown to the sharks in a big aquarium-like tank. When they look up to the sky they see the ocean instead. Their world is lit and warmed by light crystals that sparkle, and oxygen is brought down to them through air shafts. There’s a garden and a park with real grass. I could go on and on. I’m in love with this place. My absolute favorite thing about Shadow and Bone is the world Leigh created for us. I love all of it, from its setting in futuristic Russia, to the elaborate keftas, to the mysterious Shadow Fold (a dark and barren wasteland filled with volcra, which I swear are some kind of dragon on steroids), and all the awesome talents of the Grisha. This world is complicated and complex with its own language. It’s amazing. Atlantia is a beautiful, self-sustaining, world under the sea that actually sounds a lot like Venice. They have canals and gondolas, and the city is colorful with lots of shops and places to visit. There’s a market in the depths of the city, plus an arena for after-curfew swimming competitions. Basically, the city is unique and very fun to read about. Which worlds would you love to live in? Did you choose to showcase worlds you’d like to or never like to live in this week? I pretty much live for book covers, and I know I’m not alone. I’ve actually met a lot of amazing books because I fell in love with their covers! I’ll see a cover, be intrigued, read the synopsis, and all of a sudden it’s on my TBR or in my shopping cart. 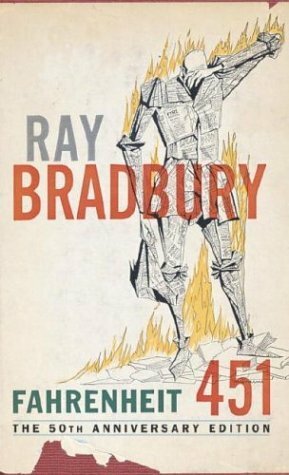 It’s easy to admire a book’s design, but often we fail to recognize the story and brilliance behind its creation. Creating book cover art is a long, deliberate process that can start years before the book’s publication date. Contrary to what you might think, authors are rarely involved in the book cover art, and instead designers work with publishers or editors to develop a concept that is marketable and on brand. 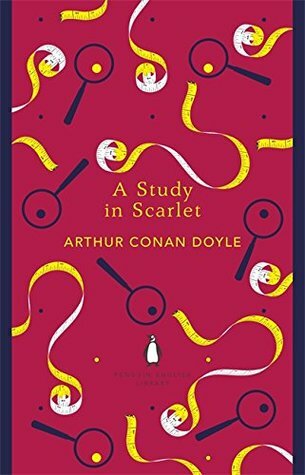 This fun infographic from Invaluable shows some of the most iconic book covers throughout history and how those visions came to life. See if any of your favorites made the list! Do you like creepy old manors full of dark secrets (and possibly ghosts)? Do you find yourself attracted to mysterious gentlemen in Victorian attire who may or may not be villainous? Do you think the best outfit for investigating mysteries is a lacy white nightgown? If you answered yes to any of those questions, you probably like gothic romances. The gothic genre has been around for hundreds of years and got big in the Victorian Era with novels like Dracula and Jane Eyre. It had a revival in the 1960s (Do a Google Image search for “gothic romance covers.” You won’t be disappointed. ), and if you’re looking for a more recent example, think Crimson Peak. 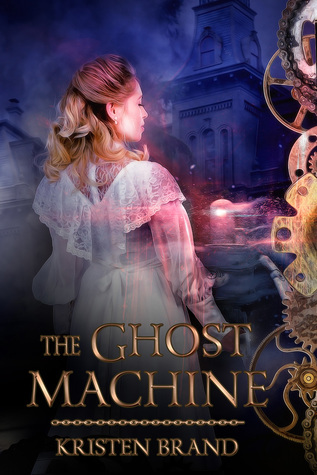 When I wrote The Ghost Machine, I wanted to mix steampunk with gothic romance. 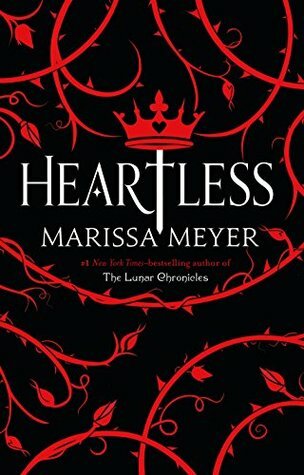 It influenced everything from the setting (featuring a haunted asylum and shadowy castle), to the plot (the main character, Ella, can see ghosts), to the characters (her love interest is a Byronic hero, and she suspects him of being a murderer for part of the book). I always associate gothic romances with the 1800s, though they can be set in any time. Maybe it’s because those Victorians were surprisingly morbid, with their creepy photographs of dead family members and the elaborate mourning attire they were required to wear. Or maybe it’s the popularity of spiritualism and their fascination with ghosts. That’s why I think gothic romance meshes so well with steampunk, which also has a heavy Victorian influence. It lets me play around with steampunk technology that can detect and manipulate ghosts, and I can throw a mad scientist’s laboratory into one of those gothic castles and get a Frankenstein vibe going. But what I like best about gothic romance is the aesthetic: the dark and sinister mixed with the beautiful. While I’m not a fan of the jump scares and gore of the horror genre, give me the subtle feeling of lurking dread that permeates a good gothic novel any day. That’s the aesthetic I wanted The Ghost Machine’s mood board to reflect, and that’s what you’ll find in the novel itself. Ella Rosenfeld is a lunatic. Locked away in the remote Auttenberg Asylum, she undergoes torturous treatment to cure her hallucinations. Yet the longer she remains within Auttenberg’s austere halls, the more gruesome her visions become, until Ella is sure she’s seeing ghosts, and Auttenberg’s doctor knows it. He doesn’t plan to cure her; he wants to study her ability by dissecting her. Ella refuses to accept her fate. She assaults her captors, scales the asylum fence, and finds sanctuary in the castle of Baron Viktor Szarka. Young and arrogant, the baron offers her protection, but he’s rumored to have locked a woman in the asylum to hide his dark past, and he has suspicious dealings with Auttenberg’s doctor. Unable to trust him, Ella must uncover the conspiracy surrounding the asylum, her visions, and the baron’s secret…or join the rest of Auttenberg’s ghosts. Kristen Brand is a total nerd. 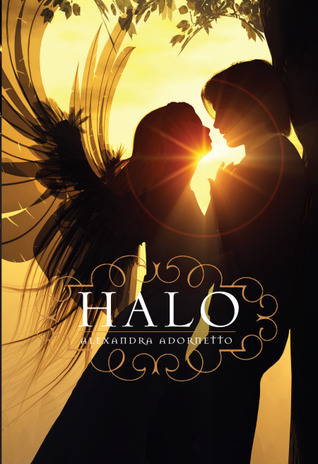 She writes speculative fiction with lots of danger, snark, and a bit of romance. When she’s not writing, she can usually be found reading novels or comic books, and she’s probably drinking tea right now. You can find out more about her work and read free fiction at her website, kristenbrand.com. Do you ever find yourself totally not liking a book, but continuing on so that you can say you read it? Maybe it’s a book EVERYONE has read, and you were feeling left out about. Or maybe it was a required read in school and you’re proud of yourself for reading it even though you didn’t want to. Or maybe it was a book club read and you’re glad you could actively participate in the discussion. Whatever the reason may be, I think we can all say that we’ve read books we didn’t like just so we could say we read them. I could only come up with eight this week! 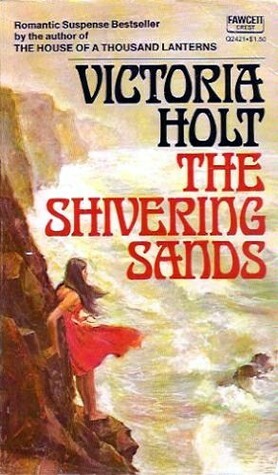 My mom grew up loving Victoria Holt, and as a lover of Gothic romance myself, I’d been intrigued for ages. I finally read this one, which has pretty good reviews overall, and it was just a little slow and meh to me. I liked the setting and the writing, but I felt like not a lot happened. I’m so glad I finally gave her books a chance, though, and I’m not giving up yet. I think I read this for bragging rights. It was ok, and I’ve even read the next one… but they are not what I would call gripping and entertaining reads. I’ve always wanted to read the books by that have taken pop culture by storm, and now I can say I have. And honestly, I know I’m going to read the rest of them for more bragging rights. I read it so I can say I read it. 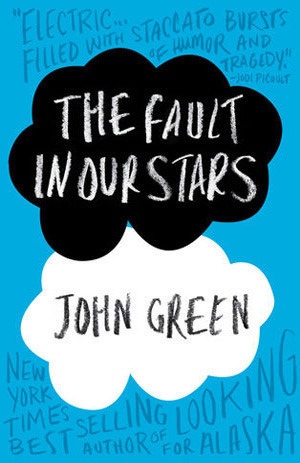 I hate sad/cancer books and I am really not interested in any of John Green’s work. But at least now I can say I’ve read this famous book that so many people have connected with. 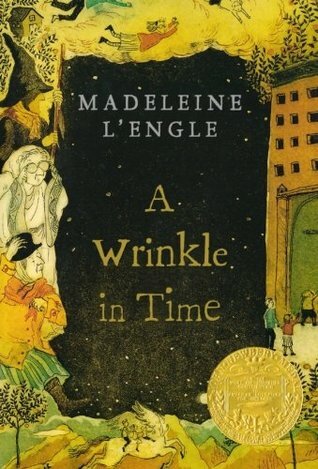 I think it’s safe to say that A Wrinkle In Time kind of set the world of YA lit on fire. Millions of children and adults have read and loved this book across the generations. It’s the kind of book a young person fell in love with in the 1930’s and then recommended to their child and their grandchild, and they loved it too. It teaches reaers some great lessons. It’s beautiful and timeless and influenced so many of today’s great YA authors. I think my problem with it is that I wasn’t a kid when I read it. I found it to be kind of weird instead of magical. It was a chore to get through. I’m so glad I read such an iconic piece of literature, though, because I feel like a part of history for it. Haha. This book is horrendous. It’s SO bad on SO many levels. I’m really glad I read it, though, because I have never had more fun writing a rage-filled review before. Bragging rights. Completely and totally. I read this as a kid in school and hated it. It upset me and traumatized me and made me hate reading. But I can say I’ve read every stinkin’ page. So there. 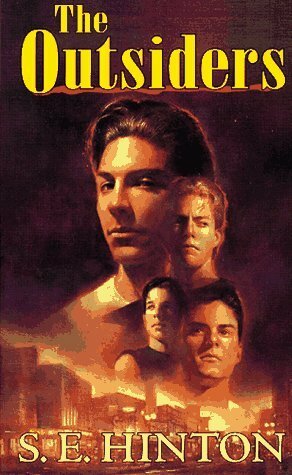 Umm… ditto to the above statements about The Outsiders. I feel very lucky that I eventually (at age 19) found my love of reading again after years of crappy/boring/upsetting required reads in school took it from me. but are happy you can say you’ve read them? Welcome to my stop along the blog tour for Love & Luck by Janna Evans Welch, hosted by The Fantastic Flying Book Club! 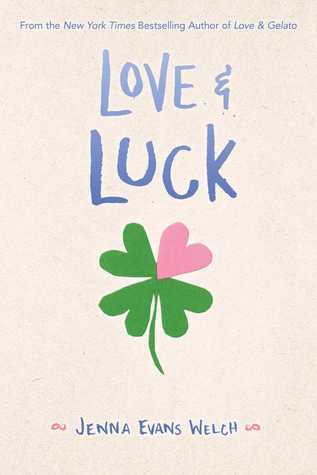 The bulk of Love & Luck takes place on a road trip across Ireland, passing castles and historic sites and tons of beautiful scenery. I’ve always dreamt of touring the Irish countryside so, in honor of this blog tour for a book I LOVED, I’ve decided to share with you the things I’d love to see while on my own road trip. It’s really all about the rolling hills and the castles for me! These are the kinds of scenes I pictured as I read about Addie, Ian, and Rowan on their tour. It was really hard to limit my post to these ten images. Ireland is so beautiful, and I want to go even more now! Hopefully someday I can take the trip! Anyone in the mood to sponsor such an excursion? This week’s topic surrounds your favorite color. It can either appear on the cover or in the title itself. I have a ton of favorite colors, and my Favorite changes all the time depending on my mood. Does anyone else go through phases with their favorite colors? I also like different colors for different situations, such as colors I wear versus colors of things I own. Anyway, I’ve chosen to showcase purple covers today! I haven’t read any of these, but I want to! Tell me which ones to prioritize and which ones I should pass on. Which color did you choose this week?